My resolution at the start of the year to read my e-books has slipped recently and I’ve been having to decline what look like decent novels that have been published independently. One that I couldn’t resist, however, was Scafell by Matthew Pink. Although I’m based in the Peak District, I have relatives in the nearby Lakes and the name Scafell has a lot of emotional resonance for those of us who know the region. The area is home to the highest peaks in England and, biased as I may be towards my own national park, I do think the Lakes their own special beauty. I’ve also mentioned before that I think a rural setting makes a great backdrop to a crime novel and, once again, I’m proved right. Stephen ‘Sparky’ Markham moves to the Lake District in search of peace and quiet. However his hopes of a rural idyll are dashed by the discovery locally of a mutilated body. His friend, Detective Charlie Slider, is supposed to be investigating the case but disappears and Sparky is forced to confront the mysterious world of fracking that is proposed for the local bay. Those familiar with the Lake District will love the references to the area. I think some artistic licence has been taken with the location of a few of the places but, to be honest, this didn’t bother me in the slightest. Surely the whole point of fiction is that it represents reality without being bound by it. The writer has a distinct narrative voice and this comes across clearly from the first page. The opening is particularly strong and the evocation of the elements struck a chord. The countryside is harnessed to the weather and the writer cleverly balances a murder plot with a strong feel for the setting. Rain is part and parcel for those of us living in the north of England and, in this book, you could almost smell the damp oozing out of the pages. The plot is kept interesting by twists and turns that are very much in the crime fiction conventions and kept me engrossed until the end. 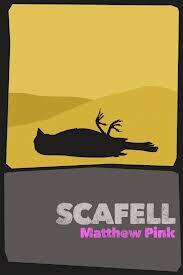 I hope that this writer will reach a wider audience as Scafell is well written crime novel with a special setting. Thanks to the author for sending me a copy of the book. That sounds like a great setting and a hot political issue, very tempting. I’m always surprised there aren’t more books set in the Lake District with its distinctive atmosphere, beautiful landscape, and variable weather – ideal for novelists! I completely agree Moira. I loved Reginald Hill’s ‘The Stranger House’ and would recommend this if you haven’t read it. “…you could almost smell the damp oozing out of the pages.” A good line, Sarah. It feels nice to be able to connect with people and places you’re familiar with in fiction. I think the last novel with a rural setting that I read was a Wodehouse. The countryside makes an interesting backdrop for most fiction, crime more so. Matthew Pink is a new author for me and so is the word—fracking! Thanks Prashant. And yes, I love the descriptions of the countryside. Sarah – Oh, I’ve read a few series set in the Lake District and that context is awfully appealing. So is your review. And fracking is a big political issue here too, so I’d be interested to see what Pink has to say about it. Thanks for this. Yes’ I’m wasn’t really au fair with the issue of fracking but it’s very interesting. I know it’s a hot topic in the US too. This sounds very interesting based on the setting and the issues. I am trying to resist it because (a) I already have too many books and (b) I already have too many e-books. But it is pulling me in. 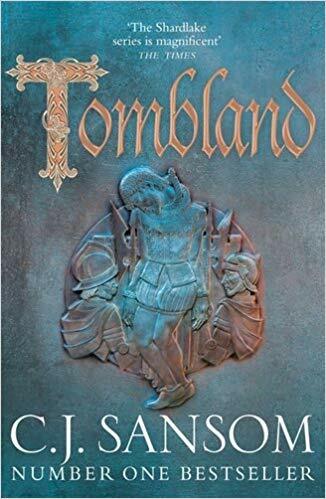 Not too long, and I saw another positive review of the book. Thanks Tracy. I know what you mean about too many e-books. They stack up too on the kindle. I hope you manage to try this one. Thanks for reviewing this one Sarah, I’ve not come across it before and I love reading fiction set in the Lake District, one of my very favourite places. Thanks Lindsay. I’m sure you’ll enjoy this one!